Features the same non-stick properties as our silicone glue tools—dried glue peels right off! Our protective project mat is made from heat-resistant, easy-to-clean silicone, meaning wet glue rinses off and dried glue peels off. Use it anywhere you want to protect your work surface or your project, whether in the garage, shop or on the dining room table. Since it's heat-resistant, it works well as a protective barrier for hot glue guns. 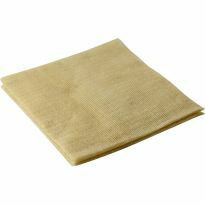 The material is very soft, and one side has a textured surface to trap debris that could scratch or dent your project. Also great for craft projects, art projects and scrapbooking. Been wanting one for a while. Bought two. Works great for holding a sanding project in one place on my sick outfeed table.Loving it! Works as advertised. Great addition to any shop or workspace!! Great product. 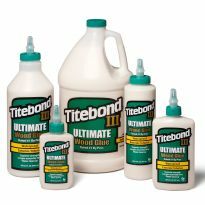 I have had two of these for several years and impressed that glue (titebond 3) just peels off after it dries. I highly recommend for glue up station. It really keep your wood assembly table clean. Works great ! No more wax paper and it cleans up fast and simple. I bought two of these when they were on sale. I had just finished a maple glue-up workbench top, and I wanted to protect it from some of my sloppiness when I work with glues and finishes. It is great for that purpose! I really like how dried glue is easily removed from this mat! 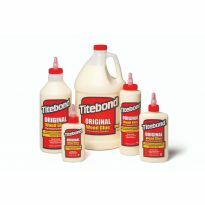 This is a great item to use anywhere when using glue or epoxy. I wasn’t convinced that silicone would just peel off, but it does, even epoxy for use on plastics. I purchased the Project Mat because of the material - nothing will stick to it. Great peoduct. Great mat, wich it was a different sixe. The mat is just what I expected. I am using it on top of a Rockler T-track table top and would love one that was the same size. I actually have two to cover it when I need it, but the either overlap each other or hang over the T-track table. Maybe an idea for the future for those who have the table top. Definitely recommend this mat I see a bigger one in my near future. This is the best "work" mat I have ever used. Holds in place well when sanding. Should have bought one years ago. Would highly recommend this mat. I also use this as a soft mat to test fit assembly on. So great for gluing. 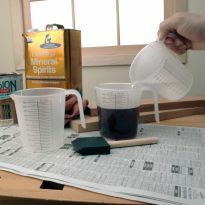 You don't need to worry about any drips that might occur that could mark up your work table. 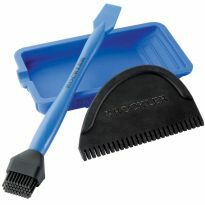 Easy cleanup and convenient to store and use. This silicon mat has proved to be an excellent surface to glue up my small projects on. 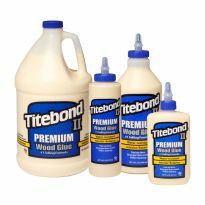 It protects my wood surfaces from damage and provides easy clean up when finished. Planning to buy more so I can make a larger area for my bigger projects. Well worth the price. Glue doesn't stick to it and it is large enough to use as a cover on my workbench. Very useful. Planning on getting the XL size. Silicone mats are the best! Rockler Silicone mats are awesome! Protects my projects, Nothing sticks to them and Easy clean up-just spray them off. Here is my finished project using the Rockler Silicone mat and Glue applicator. Rockler Silicone mats are awesome! Nothing sticks to them, and easy clean up.Protects projects too. I really like this mat. Much better than using newspapers. I have not used it a lot but I ordered a second one for a gift for my son to use for projects and also his 2 year old daughter to use for painting or children's projects etc.. It is great protection for counter tops etc. and easy to clean up. Durable and rugged. Does everything it should and more. Used it as a sanding pad and a gluing pad. Glue comes off easy. It was a gift for my husband. He has already used it. Every thing works just like the description says. I was tired of worrying about glue over-run and stuff sticking and using waxed paper and many other things I have tried over the years. I thought this was a bit pricey but I had the special pricing so I gave it a try. It holds pieces in place without any slippin and it is so simple just to let any spilled glue just dry and peel off later that I am really glad I made this purchase. very happy with my silicone matts. would recommend them . Mat works as advertised. Great addition to my shop. 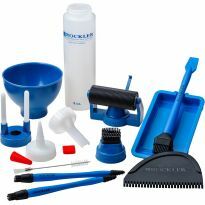 Another quality product from Rockler. Many members of our woodshop here at Sunflower rate the mats #1. We have 4 of the mats and they are always in use. I kept using my radial arm saw table to glue because it was flat and covient and usually not cluttered. Now I have this mat on my work bench and it reminds me not to use it as a srirage area. Silicone pad keeps glue squeeze-out off my saw table. 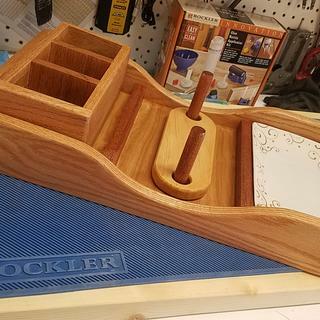 The silicone pad will not scratch the wood and allows me to use my saw table for a bench top when gluing projects together. My shop is small so I need to use the saw table as a bench at times. The project does not stick to the pad when the glue dries. And, the wood does not discolor where it contacts the pad. Works as described. Fast, accurate shipping. Size is fine, but I wouldn't mind having a larger one. Going to buy a another one soon. 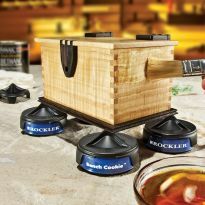 Another great product from Rockler that works as advertised. Glue comes right off. Table surface is protected. I use my mat a lot. Great work mat. Glue comes right up if it leaks onto surface. This mat will keep mess off the workbench, holds slick objects from movement and prevent damaging dings on dropped soft woods and delicate tools. Cleans easily, small storage footprint and always lays flat. Can't go wrong with this product. I do a lot of glue work and this mat makes it so easy, dry and peel. It saves me a lot of waxed paper because it is always reusable….glue flakes off as soon as it is dried. Convenient size, too. Bought 2 mats that fit nicely on bench and glue comes off very easily when dry. My daughter does arts and crafts at the dining room table. This silicon mat allows her to use the hot glue gun without me having to worry about damage to the table's varnished surface. It is surprisingly larger than what I thought it would be - an excellent investment! I use the surface of my table saw for a lot of glue ups. Fits perfectly, doesn't slide around and keeps the glue off the suface of the saw. Used the mat out of the box almost immediately. Loved the way glue pealed off and the way it holds projects while you work on them. Excellent mat for my models. Love it. Nothing sticks. Great sanding surface. I accidentally cut mine. Keep utility knifes away from this mat. I did that and now it has a gash in it. I still use it, but this makes me sad. Especially when I leak epoxy all over my bench. With that, nothing sticks to this. If you get wood glue on it, just let it dry and go back and peel it off. Problem is in the grooves. Stuff gets in them, either dried glue or finishing products, and it's hard to clean them out. I saw a video where Peter Brown pours epoxy on his and it pulls out anything that's stuck. Good thinkin' Peter! I'd like a better way to clean it. Maybe a coat of wood glue, let it dry, and peel it off. A stiff nylon brush might do the trick too. Anyways, you really don't have a problem cleaning it. Nothing sticks to the silicone and even if it's a little dirty it still serves the purpose. It is a great improvement over news paper. I love it. I can now do some small projects in the house rather than going way out to the shop because of this mat! 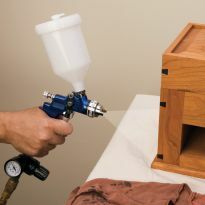 It's great for containing the potential mess of glueing, touch up paint, or even a small job of soldering. Glue comes right off. I wish I had had years ago. This is an awesome product! My only complaint: it doesn’t come in a larger size. Nothing seems to stick with it. 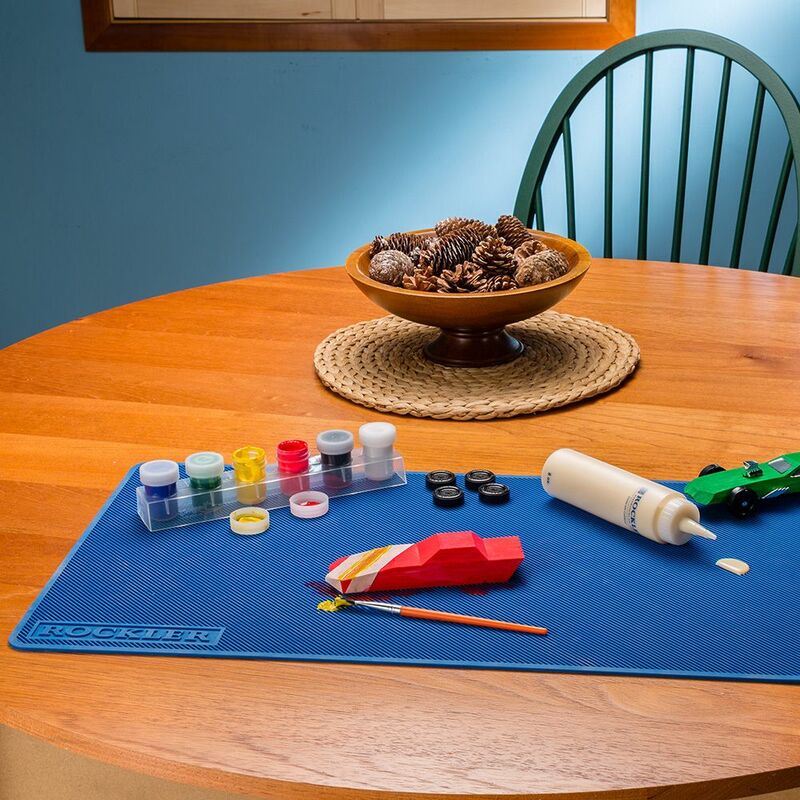 When I saw this mat I thought it could really help me with small pieces assembling pens but it has turned into my go to surface for gluing and applying finish to my carvings. I’ll probably need a second one. had one needed two more. Looks like it would be an easier clean-up than scraping my bench, plus I could use this on my saw table and keep my bench open. Best I could find anywhere! Looking for something to glue up my segmented wood turning projects and this should do up the trick. Christmas gift for brother in law. Purchased one prior, worked great, using this one for another bench. Looks like a great alternative to the pieces of cardboard box I have been using. If one is good, two are better! Saw video using this pad, and think this will be very useful to catch glue drips in my shop. It was on my husband's list. He is a home handyman. I've been using craft paper by the yard to protect my workbench top when using glue. The two that I purchased will perfectly cover my 30" deep workbench giving me a nice sized glue up area. To provide protection to my bench and keep it neat. This is much better than using old newspapers to protect the workbench from glue drips! To protect my work bench top. Building new assembly table and want to preserve surface from blue and finish spills. Appears like it is a practical product to protect my new workbench. To protect my work bench when doing glue-up...! tired of scraping glue off bench. I have been using cardboard, painters plastic etc. for my glue ups. It's a mess. 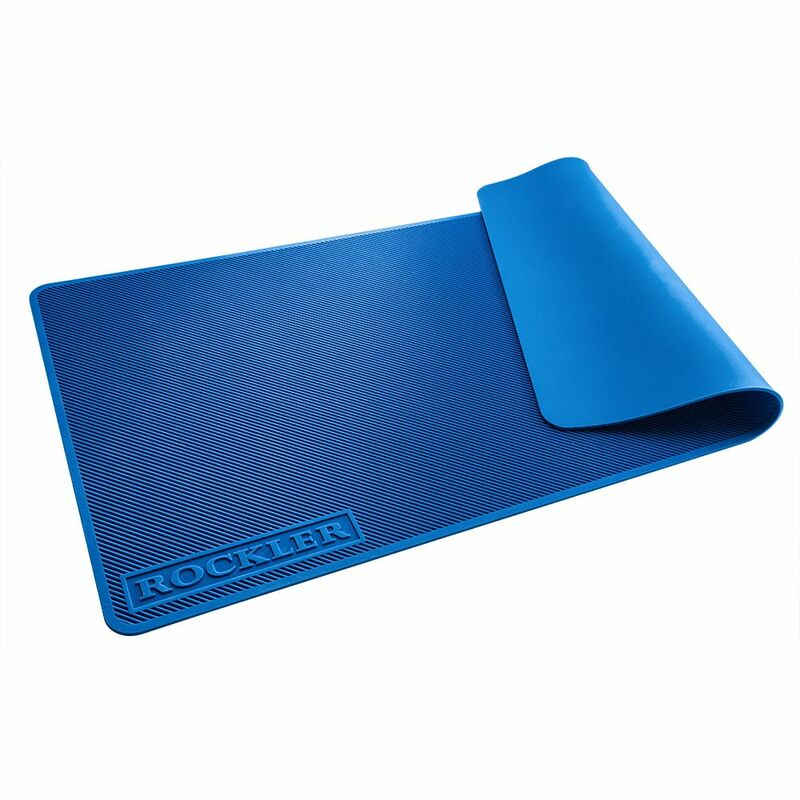 These Rockler Mats are convenient and easy to use- after the glue dries just roll the mats up and off comes to glue. And the Mats are easy to store away. better than cleaning up the workbench. It seems as though it will be a great addition to my husband's shop. Handy. Reusable. Saves on buying rolls of rosin paper. Newspaper, is almost non-existent, these days. I bought two, on sale, to provide maximum flexibility in use. Two, smaller mats, on sale, are equal in price to one XL mat, and they cover more area (plus, the aforementioned flexibility in usage). It's a Christmas gift and it will make gluing easier and neater. What temperature is it heat-resistant to? Does CA glue stick to it? BEST ANSWER: I use ca glue to put brass tubes in my pen blanks. CA glue peels right off. Just recently used it to glue lots of Holiday gifts with CA glue and the little bit that spilled seemed to have all come out! 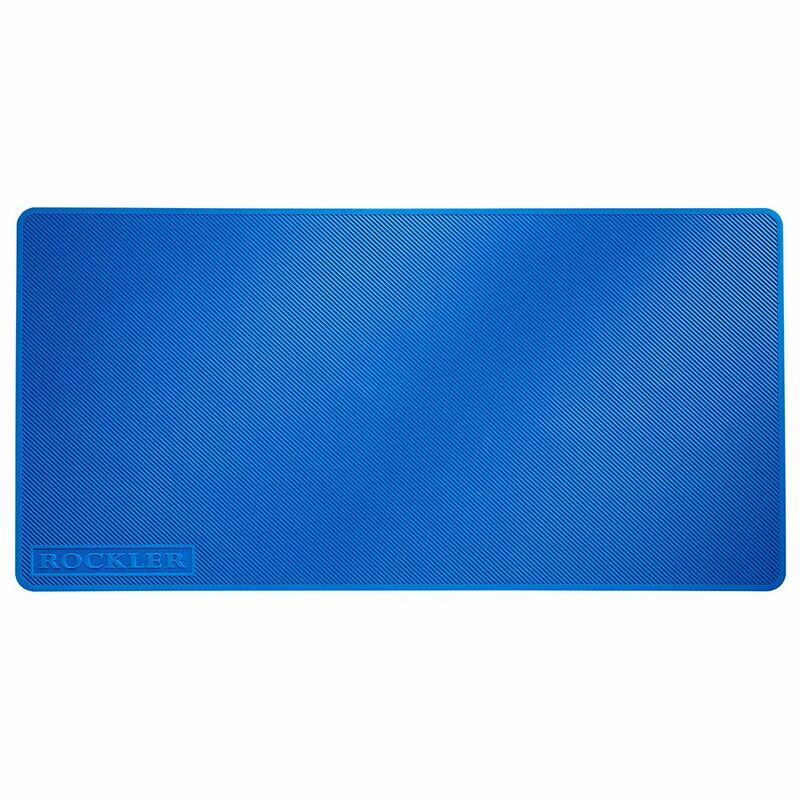 Rockler has noted on their larger sized mat description - Note: Not for use with CA glue. Seam between multiple mats resists leakage, but is not leak-proof. PS This smaller mat does not have interlock snap together feature. I haven't used CA glue with this pad. But, super glue, Titebond, dried shellac and plastic wood and dried paint did not stick to it. I am thoroughly satisfied with this product. CA glue is super glue. I don't know. Have not used CA glue on it. Other glue has not. Can it be used as a cutting mat using xacto knives on wood? BEST ANSWER: No you shouldn't as it would destroy the mat! 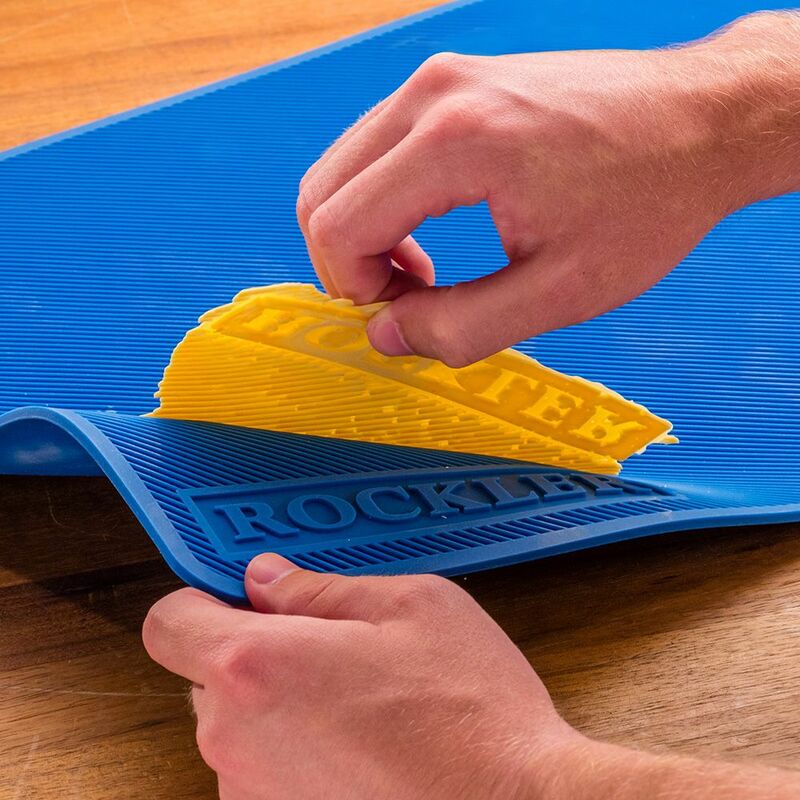 Mat is only made of silicone and you can cut it! I certainly wouldn't do it! There are mats available for people who sew that are made for cutting. I'd get one of those if you need to cut something. Sure. But it can be cut by the blades, so don't press so hard that it cuts all the way through. Barring that, it will do a fine job of protecting the work surface underneath. If you keep it clean of sawdust, it also holds the wood well. Yes indeed! I primarily use the mat to rest my workpiece on while curving using Xacto, gouges and chip carving knives. I love it! would not advise that. Can easily cut through the mat.. Good mat on which to perform glue ups. I can but you will destroy it. It is a great non skid, mess prevention mat. would polyurethane peel off it? Or would that ruin it? I need a surface to spray small items. BEST ANSWER: I have used gorilla glue, which is polyurethane based on this mat many times. 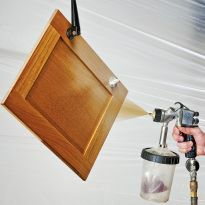 Once fully cured, the polyurethane glues squeeze out will effectively pop off the matt. Just roll & shake the mat a few times. Wouldn't use the mat as a drop cloth, dried glue is fine as far as clean removal but not sure about poly u, newspaper or small plastic drop cloths are best. Is the surface grippy? Can it be used at a sharpening station so water stones don't slip around? I also use it under my grizzly 10” wet stone grinder. It does a great job keeping water off my workbench. Yes it would work great!! 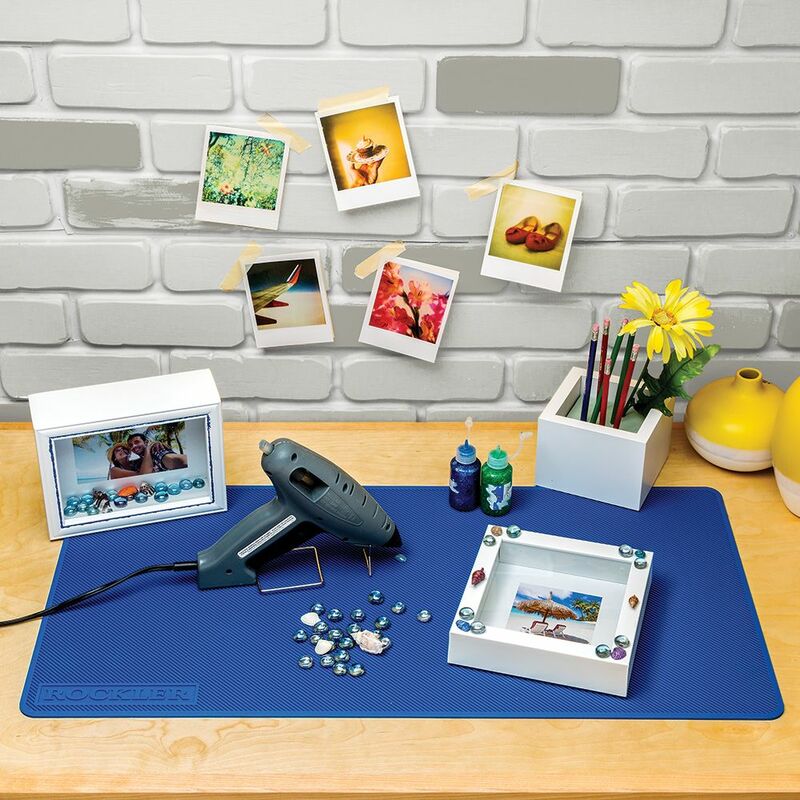 Can this silicone mat be used for cutting glass to make picture frames ? Is it non-slip so it can it be used as a pad for routing? BEST ANSWER: It is non-slip. In fact, I have used this pad with my router and it held the piece well. I have used the pad for finishing and sanding with a power sander. 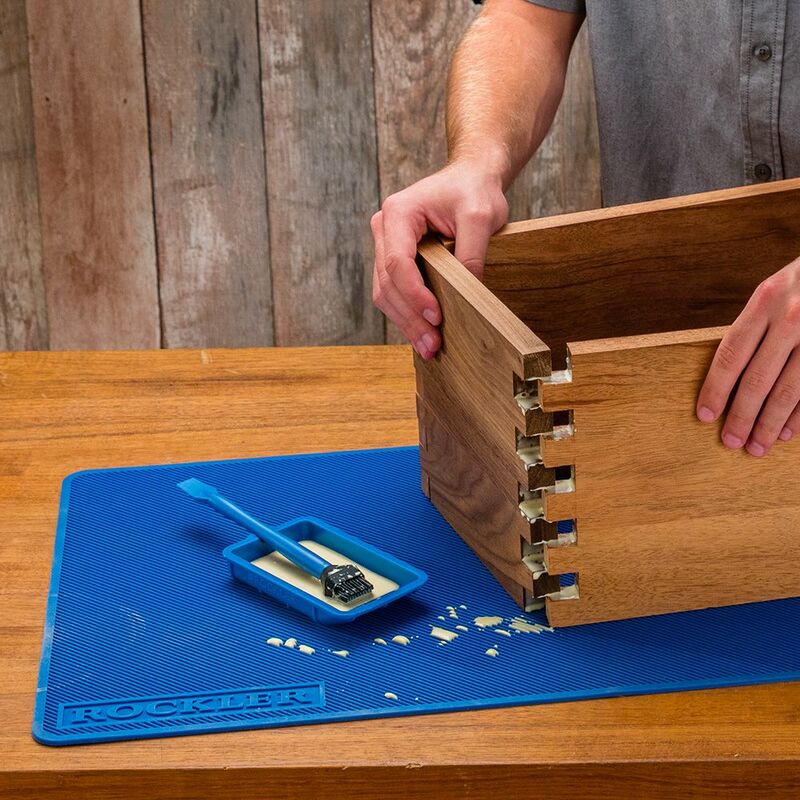 It should have no problem holding your woodworking projects with a router. After I received this question I went out to my work bench and used my plane on a soft wood board and I had no problem. The smooth side is pretty slick and the ribbed side is less slick. I have only use the mat for glueing up one project so far and found that I could turn the work piece around easily.. The rubber itself is a good friction reducer and with the ridges it adds a greater degree of control. I believe he means friction 'increaser' (if that is even a word). Reduced friction would mean more project sliding. Not sure about routing but I use them with my disc sander and they work great. Yes it can be used as arouting pad. No problem. Can it be cut up and used for push blocks?+ Is it flat on one side and dimpled on the other? BEST ANSWER: I don't know if that would work. You'd need a completely flat surface to glue it to whatever you use for the push blocks. This has ridges! I would use sandpaper to glue onto a substrate to make your push blocks. I would try 3M 77 spray adhesive on both the mat material and a block of wood. I think this may work as well as the MicroJig Gripper material if not better. The other material I've used for push blocks that is even better is the Bench Cookies from Rockler. It's designed to keep on gripping even in sawdust. This mat is smooth on the bottom side and dimpled on the top side. It never occurred to me to cut it up and use it for push blocks so I can't comment on that portion of your question. It is flat on one side & grooved on the other side. I've not tried cutting it but I think it would work, using the grooved side facing out. Not sure that it would grip as well as some other materials, but should work fine. It is ribbed on one side and flat/smooth on the other. Will cured epoxy peel off? BEST ANSWER: I used a two-part epoxy last year and some of it spilled onto my Silicon mat. I didn't clean it up until it had hardened. It lifted right off with tweezers. Billy....never really had cured epoxy on the mat, but I'm going to give it a stretch and say likely yes! I've never had anything stick to it yet! Normal glue comes right off! Good luck! Yes, even epoxy made specifically for plastics. Does paint stick to this mat? BEST ANSWER: So far nothing has been able to stick to mine, including paint and adhesives. Nothing has stuck to it yet. Most of the paints seem to comes off but some depending on the type can stay on. All depends how soon you wipe it off too! That's why we use the mat to protect other surfaces! I have paint specs and stain splatter. I havent tried to remove it but if you spilled pain on it, I am sure it would peel right off. Is it food-safe, e.g. for use as a baking sheet? BEST ANSWER: Not intended for baking. Soft silicone construction is meant to protect table top while working on an item or to prevent a workpiece from slipping, such as while you sand it. My wife uses one to set hot items on, but I cannot imagine using it in the oven as a baking sheet. BEST ANSWER: I can see no reason why it should not be lacquer safe. Solvents, paints and lubricants don’t have any lasting effect. Recommend you test on a small area of the smooth side to be sure. ?? I have only used for glue ups. Will this mat damage a newly applied lacquer finish? BEST ANSWER: I'd let any finish cure before putting it on this. It's better than laying it on a table but I'm sure it'll leave stripes from the grooves. Use painters pyramids or something. I see that some people have used this to hold sharpening stones in place without slipping around. But does the messy black swarf that is created from sharpening clean off or does it stain the mat? BEST ANSWER: Rinses right off.